When I mentioned in a recent post that, unlike Microsoft Azure, AWS lacks a “hybrid play,” an Amazon representative took umbrage. He emailed me to observe that many enterprise customers were using AWS as part of a hybrid cloud deployment. Well, of course they are. Over the years I’ve seen enterprises extend internal dev and test infrastructure to AWS, deploy public cloud mobile applications integrated with on-premises databases, burst from on-prem instances to AWS to handle spikes in demand, and so on. The sheer number of services available on AWS, along with a religiously self-service approach, enable you to build whatever you want as a hybrid extension of your existing operations. That’s part of the charm of AWS. But I’d call that DIY hybrid. Microsoft has the most advanced hybrid play, by which I mean private cloud software that duplicates the Azure public cloud infrastructure, in the form of Windows Server, System Center, and Azure Pack. The 2016 releases scheduled to ship this summer will make that private Azure cloud more similar than ever to the public Azure cloud. It makes you wonder why Amazon never wanted to go that route and provide a private cloud on-ramp. The first private cloud software, Eucalyptus, was expressly developed to emulate AWS. Why didn’t Amazon buy Eucalyptus and offer it to customers so they could deploy the private side of a harmonious hybrid cloud? From what I’ve heard, Amazon was simply never that thrilled about the idea of getting into the enterprise software business. Why would it be? The release cycles, customer support, sales and marketing, and so on amount to a completely different animal than the cloud business. Plus, you have to keep the on-premises version in sync with the cloud, which can’t help but constrain development somewhat. Microsoft is in a completely different position. While Amazon would need to establish a beachhead from scratch in the data center, the Windows Server installed base is huge. 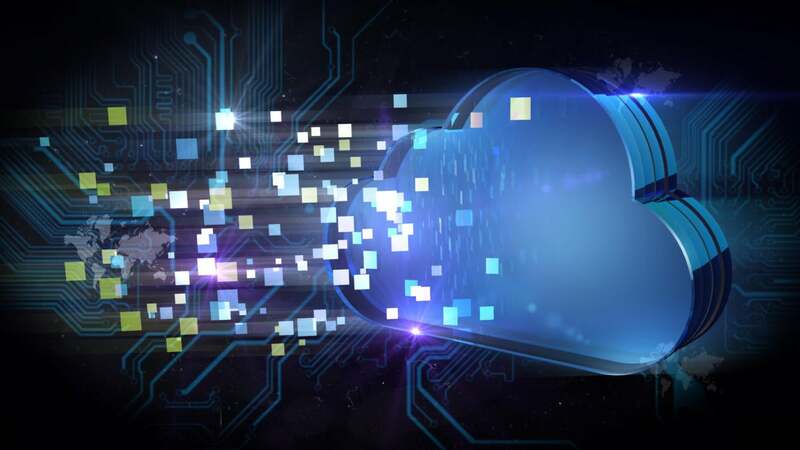 Microsoft saw that providing a gateway from Windows Server and System Center to the cloud was the best way for Azure to capture enterprise cloud customers. It’s a great strategy, and so far Microsoft seems to be executing well. To me, one of the biggest lingering questions about enterprise public cloud computing, whoever provides it, involves the top attraction of the cloud itself: scale. Several large enterprises, including GE, have committed to an all-in public cloud future. Netflix has been 100 percent on AWS from the beginning. There’s no way gargantuan customers can afford to pay standard rates, so special enterprise agreements must be struck, negotiated the old-fashioned way. Despite AWS’s long lead, we’re still at the very beginning of the enterprise shift to the public cloud. Today, developers are leading the way and using the cloud to great advantage for all kinds of agile, innovative stuff. But what happens when enterprises start committing many millions of dollars in operational costs to production deployments? Some will go to AWS, but others will turn to the enterprise software companies they’re already in bed with. Not just Microsoft, but IBM and even Oracle have the opportunity to capture big enterprise cloud deals if they can provide a real hybrid gateway and build out their cloud infrastructure fast enough. At scale and in production, selling the cloud becomes a lot more like selling software, where a big part of the game is about determining what the customer is willing and able to pay.